Divorce-How do I move forward with my life? How will I support myself and my children following divorce? How can I protect my assets into retirement? Will I be left with an overwhelming burden of debt? Can my relationship with my spouse be salvaged for the benefit of our children? What can I do to avoid a hate-filled contested divorce action? These questions are all important. And, they are confronted while most clients are emotionally vulnerable, frightened and confused. Hiring a strong, knowledgeable, experienced family law attorney is the most effective way to protect yourself, your children, and your future. No matter simple or complex your legal issues, as an experienced family law attorney, Caryn A. Van Matre can help direct you through this journey. With our team on your side, you will receive fair and honest advice. We will stand up for you, to be your voice and your advocate. We take that responsibility very seriously. What issues will I likely confront in a Florida divorce proceeding? There are typically five (5) broad categories of issues that will be addressed in a divorce proceeding. And, within each category are a multitude of other concerns. In this high tech, information age it would seem most any question can be answered on a screen with the few clicks of a button. But don’t be fooled. The hiring of an experienced divorce lawyer can make all of the difference. The issues are delicate and important. Give them the attention they deserve. Caryn A. Van Matre has years of experience in addressing these questions and concerns in a thoughtful, practical manner. She will offer frank advice and explain how the law may be applied to your family’s situation. She will advise you in preparing a reasonable plan to facilitate settlement. And, if that fails, she will be prepared for trial. At every step of the way, Caryn and her team will advocate for you. Call us now to schedule a consultation. What does the Court view child custody? What is Shared Parental Responsibility, Joint Custody and Sole Custody? What if I have safety concerns regarding my children having timesharing with the other parent? How will time with my children be divided between the parents? How will decisions impacting my children be made if we do not agree? How will I support my children after divorce? What if one party does not abide by the court order? Child Custody, Timesharing and Support-When nothing else seems to matter. Children are often the unwitting casualties of their parents’ divorce. For us, they are our number one priority. And, our clients agree that the safety, well-being and support of their children is their primary concern. So, in order to properly represent our client, we must protect their most vital interests-their children. This means ensuring that children receive the protection of well thought-out custody, timesharing and support agreements that take into consideration their specific needs and interests. Today’s modern families are widely varied, and the solutions for their families require creativity and an ability to anticipate future needs and changes. And, Florida child custody, timesharing and child support attorneys are evolving as well. We take the time to fashion a plan that provides children the best care and support that both parents can provide. Taking into account each parents’ abilities, time, resources, and desires, we will help you secure the best custody, timesharing and support agreement for you and your children. Throughout the process, our team will work with you to protect your relationship with the other parent for the benefit of your emotional health and the well-being of your children. After all, it is a fact that children benefit from having the support of two parents who can work together for the good of the children, despite whatever differences they may have. But, in those cases where safety concerns, neglect, addictions, high conflict parties and other difficult factors are in play, we are here to help develop custodial plans and direct you to resources that may help you and your children move on to a better place. Call Attorney Caryn A. Van Matre to engage her as your attorney for all of the child custody, timesharing and support concerns. We are here for you and your children. Is it reasonable to receive or pay? How long will the alimony obligation last? How much alimony would be reasonable? How can I defend against paying alimony? How can I increase, decrease or eliminate alimony? Will my alimony stop if my ex moves in with another person? Alimony-How do we move on with life? As a married couple contemplate divorce, their financial circumstances after divorce is a heavy concern. Alimony, aka spousal support, is an important issue to be addressed in a divorce action. Florida law provides multiple forms of alimony and there are multiple statutory factors that must be considered in evaluating the alimony question. It is important to have an experienced attorney to help ensure fairness. For the party who has been financially dependent upon their spouse over the course of the marriage, he or she will often worry about how they can make ends meet after the divorce. For the party who has been the primary breadwinner, he or she may be anxious about a spousal support obligation that is beyond their ability to pay. Whether you expect to receive alimony or you are worried about paying support to your spouse, attorney Caryn A. Van Matre has the knowledge and skill to give you the guidance you need. How do I identify all of my marital assets? How do I protect non-marital assets? How do I value marital assets? What is the law on the division of marital assets? Will my retirement be properly divided and how? Asset Protection-What’s yours is mine. And, what’s mine is mine. This frame of mind is exactly why having a strong divorce attorney is the smart move. Getting divorced can have a significant effect on your financial present and future – and without the representation of a qualified family attorney, you could lose more than you ought to in your divorce. While you may be tempted to short cut a careful review of your finances and assets in the rush to end the divorce, it is important that you take the time to evaluate what you have accumulated during your marriage. Carefully consider homes, automobiles, retirement and investments, business interests, and personal property. These are the fruits of labor expended during the marriage. Give it the consideration it deserves. The law requires “equitable distribution of assets”, but equitable does not necessarily mean equal. A qualified attorney can help identify those assets that have significant benefit or meaning to you and craft an equitable distribution plan that makes sense to the Court. Attorney Caryn A. Van Matre has the focus to help you identify non-marital and marital assets, to help protect assets after the divorce has begun, and to properly value and distribute marital assets fairly and accurately. Call us now to schedule a low cost initial consultation. What if one spouse has incurred debt that I did not know about? How do I protect my future credit in the division of marital debts? How can I be sure that the division of debt is fair and reasonable? Debt Distribution-We owe “what” to “who”? Money problems- One of the leading causes of marital discord. And, just because your marriage ends, does not mean your creditors go away. The unpaid debt accumulated while married often remains and must be divided. Just like assets, the equitable division of marital debts is addressed in the divorce process. While clearing all debts before a divorce is the best scenario for everyone, that is rarely the case. It is important to immediately identify all debts and outstanding balances owed. If accounts are joint, it is particularly important to monitor the balances so that debt is not being increased unnecessarily. There are circumstances when the abuse of finances or accumulation of debt for non-marital purposes by one party can be an important factor in debt distribution. Attorney Caryn A. Van Matre can help you protect yourself from an unfair debt allocation. Are there alternatives to full blown litigation? How long will the process generally take? What information is required of me and my spouse in divorce? Attorneys Fees, Costs and the Process of Divorce-What’s the first step? Whether you have made the important choice to sever a relationship, or you are reacting to such a decision by your spouse, you need to act quickly to secure your rights and protect your future. Attorney Caryn A. Van Matre has extensive experience in both contested and uncontested divorce and can help navigate you through the process. Call Attorney Caryn A. Van Matre and schedule your low-cost initial consultation now. During this confidential meeting, Caryn will gather information, explain the process, and give you a sense of who she is as a family law attorney. Caryn will focus on establishing what are your top priorities and concerns. She will begin to formulate a plan on how to best serve you. Her experience has taught her that this initial consultation is key to establishing trust between attorney and client and that a strong foundation of trust will result in a more positive outcome. Communication and trust is absolutely necessary to the attorney-client relationship. She will explain the mechanics of the process, such as how the initial divorce petition is processed, how financial information is gathered, how the other party receives notice of the divorce, and what is required of the other side. She will also discuss projected attorneys fees and costs and how those fees and costs can be impacted by the approach of the divorce lawyers as well as the clients. Where there is disparity in the parties' income, attorneys fees and cost will be requested. Call us today. Establishing legal rights and responsibility for a child born out of wedlock is accomplished through a paternity proceeding. Either the birth mother or the birth father can ask for a paternity determination. Even if the mother and the father have a civil, happy and healthy relationship, it is still important for them to establish legal rights and responsibilities with respect to their child through the paternity process. To delay could have a detrimental impact on the child and the legal rights of the parents. Paternity matters can be both contested and uncontested. We will assist throughout the process. Paternity can be confirmed through a voluntary admission by the other parent or through compelling DNA paternity testing to confirm the parent-child relationship within a legal and scientific certainty. Once paternity has been established, there is a wealth of legal rights and responsibilities that must also be established. For a mother seeking paternity determination, this is the point in which child support and even custody agreements may come into play. By establishing paternity, a child may receive financial assistance from the father to provide for that child's needs. For a father seeking paternity determination, we are here to ensure that the process is carried out fairly and quickly. This means seeking legal advice as soon as possible, preferably before the child's birth. If a DNA paternity test determines you are the father, we will work with you to see that your obligations are appropriate. By establishing paternity, your child’s legal rights are the same as any child born within a marriage. This means that all rights to inheritance, medical and life insurance benefits, and social security and veteran’s benefits are all on the table. Once paternity of a child is established, the issue of child custody, timesharing and support is addressed much the same as custody is addressed in a divorce action. Regarding issues of child custody and support, we seek to reach a conclusion that best provides for children by offering them the best care and support both parents can provide. Taking into account each parents’ abilities, time, resources, and desires, we will help you seek the best custody and child support agreement for you and your children. Throughout the process, you can be sure that our team will work with you to protect your relationship with the other parent for the benefit of your emotional health and the well-being of your children. After all, it’s a fact that the other parent will continue to remain in your life and the lives of your children for years to come. The paternity process should not be viewed as a punishment. It is simply another legal mechanism to allow a parent to establish rights and responsibilities for a child. It provides the way for a child to have all needs provided, including the right to relationship with both parents, and to have the financial and emotional support of both parents. Disestablishing paternity is a complex process, but one that is carefully support by Florida statutory and case law. While a child born during a marriage has a presumption of legitimacy, that are circumstances where that presumption can be overcome. In the sensitive situation of a child conceived with someone other than your spouse, an experienced family law attorney is required. Enforcement and Contempt-Why can’t you just do what you are supposed to do? Frustrating isn’t it? You have spent time and money working through your legal issues. You have gotten a court order that clearly spells out what everyone is supposed to do. Life seems to be moving forward, when suddenly, the other party violates the terms of your court order. Failing to follow child custody and support orders, failing to pay court ordered alimony, or other violations may justify the filing of a Motion for Enforcement and/or Contempt against the other party. But should you? Depending on the nature of the violation, and the circumstances of your case, the next appropriate step will vary significantly as will the expected relief from the Court. Violations of an order that places children or parties at significant risk certainly should be addressed swiftly by the Court. But getting such a matter before the Court quickly is a tricky process. Hiring a knowledgeable, aggressive and practical family law attorney is your best course of action. On the other hand, what if you are in violation, but there were circumstances beyond your control that prohibited your compliance with the court order? An experienced family law attorney is your first line of defense. Call Attorney Caryn A. Van Matre to get seasoned advice on your next move. The presence of counsel can have a significant impact on the process and may work to avoid the chaos of dealing directly with the other side. We are prepared to represent you in issues related to the enforcement of your current family law decrees and divorce order. Modification Actions-Everything changes, and so can a court order. Life is unpredictable. Facts and circumstances that existed at the time that you either entered into an agreement with the other party or presented your case to the Court can substantially change. 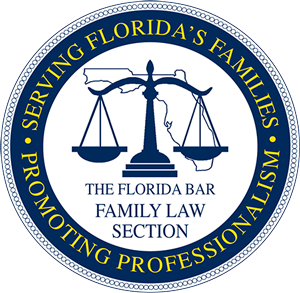 Florida law provides that parental responsibility, timesharing and support of children and most spousal support awards are subject to modification based upon a substantial change of circumstances and other considerations. It may be necessary to modify child or spousal support agreements or orders when the facts warrant it. Emancipation of children, changes in employment or income, retirement, re-marriage or co-habitation of an alimony recipient: All of these are examples of modification factors. Modifying a custody and timesharing agreement may be the solution for a parent hoping to relocate to another state, or for a parent who wishes to have a greater portion of timesharing than previously granted. Attempting to resolve these issues through settlement negotiations in a controlled environment with a skilled family law attorney is your best protection. But if that fails, you will need a strong lawyer on your side to represent you in court. Call Attorney Caryn A. Van Matre to explore your options. Attorney Caryn A. Van Matre dedicates herself to service of families. Our family law practice centers around children – their welfare and their protection is our top priority. Some of our most joyous work revolves around the adoption process, working to ensure that each child is given a home and family that they so deserve. An adoption is, at its heart, an effort to provide a better life for a child where they are supported emotionally, physically, spiritually and financially in a way they may have not been before. Adoption law is one of the most rewarding areas of family law practice. Still, adoption is a complicated legal procedure. For a family seeking to go through the adoption process, it can be an extremely exciting and yet stressful time. 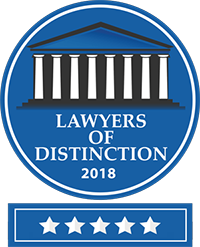 With so many factors – and so much that can change so quickly – it is vital that you seek a qualified family attorney to help you navigate this complicated process. Contact Caryn A. Van Matre and her legal team to help you during this incredible time, which can be full of hope and happiness and worry. Sometimes, the child you wish to adopt is already a member of your family and you are trying to legally establish a parenting relationship already in existence. This is true when a step-parent or a close relative want to offer a child the permanency of adoption. The adoption creates a legal relationship as if the child is the actual biological child of the adoptive parent. And, because of the close family connection, the State has recognized that an expedited process should be available. Therefore, in these cases, the length of time, costs and procedural requirements are lessened, all for the benefit of protecting Florida families and children. We are delighted to work with families to provide the legal protection of adoption, where love and life-time commitment are already established. Call attorney Caryn A. Van Matre for her care and attention in the adoption process to help create a forever home for your family. Non-relative adoptions are quite complex. The State has an interest in ensuring that termination of a biological parent’s rights and the adoption of a child by a non-relative is handled with great care. Prospective adoptive parents must undergo a detailed home-study to assure that they are able to provide a safe and loving forever home to a child. And, as a biological parent’s right to care and have custody of their child is such a basic, fundamental right, the severing of the biological parent’s relationship requires the court’s highest scrutiny. There are a variety of variables impacting the adoption process. Are the birth parents willing to consent to adoption? Is the birth father known? Has the child been in the care and custody of other family members that may be entitled to notice? Is the prospective adoptive child placed through a private adoption agency or a state agency? Is the child already born or is the mother still pregnant, but contemplating adoption? The considerations are numerous and the method of securing the consents and presenting the case to the court warrants the involvement of an experienced, well-qualified adoption attorney. Another highly complicating factor is if the child you are seeking to adopt is located outside of your state of residency. You cannot always decide where your future family member will come from, and we have the resources to ensure that geography isn’t a limitation to love. In this case, both states must give approval through the Interstate Compact on the Placement of Children (ICPC). While our office is located in Florida, we have the knowledge to negotiate adoptions between any other states and we have the experience necessary to work with ICPC. Additionally, if you are an adoptive parent located outside the state of Florida, we are eager to work with you to help adopt a child from within our state. Call attorney Caryn A. Van Matre now to schedule a consultation to discuss your options creating a forever family. There are times, even into adulthood, decisions are made to legally recognize a parent child bond that has already been emotionally established. And, as the prospective adoptee is of the age of consent, the State of Florida has established an expedited process, without the requirement of consent of the biological parents. The reasons for adult adoptions are varied. For some, it is a combination of factors that led to the decision to adopt later in life. The adoption process, at any age, establishes a legal parent-child relationship. This means beyond the emotional connections that may already exist, the adoptee gains certain very valuable legal rights and privileges that impact governmental benefits, inheritance rights and other financial concerns. Attorney Caryn A. Van Matre can help your family navigate through the process of adult adoption. Call us now. Planning for the inevitability of death is a weighty matter. But, formulating a plan now is the most responsible thing to do to your loved ones. A well-drafted Last Will and Testament and other advanced directives such as powers of attorney and health care surrogates can eliminate confusion, protect your assets and make provisions for those closest to you. Schedule a consultation to meet with attorney Caryn A. Van Matre to discuss your goals in drafting the documents needed to effectuate your wishes. When leaving loved ones behind, you can be comforted by the planning and provisions that you have made for them. Experiencing the death of a loved one is a deeply troubling time. It is certainly a time when family is vulnerable. With effective estate planning instruments, you can lessen this burden. Efficiently managing your estate at the time of your passing is important and should be entrusted to an individual that has respect for your wishes and is diligent in carrying them out. This person, otherwise known as a personal representative or executor, is named by you in your Last Will and Testament and is tasked with the responsibility of engaging with an attorney to identify and gather your assets, preparing the necessary legal documents, resolve the claims of any creditors, and finally distribute your assets as per your direction. In a perfect world, it works just that smoothly with family members focusing on supporting one another and not concerning themselves with the administration of your estate. But, sometimes, despite your best efforts to lessen confusion, there are occasions where potential heirs may question the validity of your will. These complications most require strong legal representation to resolve. It is wise to retain experienced competent legal counsel now in drafting your estate planning instruments in a way that minimizes risk of attack later on. Whether you need assistance in preparing your estate plan and necessary documents or your have suffered the loss of a loved one and need assistance in the probate process, trust attorney Caryn A. Van Matre to assist you during this difficult time. A guardianship, also known as a conservatorship, is a legal process that is used when a person is unable to make sound decisions to protect themselves or their assets. This can be a minor child, an elderly parent, a mentally ill family member, or anyone whose disabilities hinder them from living a fully independent lifestyle. Guardianships ensure that those who need care are able to receive it from those who care for them the most. The appointment of a guardian requires careful consideration. The process can be overwhelming and you will need a strong family attorney to help you navigate through the process. The court will also decide what authority the guardian is given – from the bare minimum to full control of assets and physical care. The level of control is determined by the disability of the individual and must be weighed carefully to avoid any abuse or loss of deserved rights. The hopeful outcome of a guardianship legal proceeding is that the individual needing help will be provided with a guardian most concerned about their well-being and capable of handling the needs of the ward in a loving, compassionate manner. Whether you or your loved one are contemplating the establishment of a guardian for a minor child, a special needs adult, or an elderly person who can no longer make informed choices regarding their care, confer with an experienced guardianship attorney to help your family in this time of need. It is important that you seek the qualified advice of a family law attorney to ensure that the proper individuals are able to become guardians to safeguard the health, financial stability, and mental well-being of the individual in need of guardianship. The decline of a family member can be an extremely difficult time for your family – allow us to help make the transition easier. Call today. When a child with special needs is under the age of 18, their legal guardians are able to make any and all legal decisions on their behalf. But once a child reaches the age of 18, the state generally recognizes them as an adult and able to make their own legal decisions without further legal action. As such, guardianship in these cases apply to individuals whose mental disabilities inhibit them from pursuing adult independence in any sense. To continue making these legal decisions on behalf of a special needs child who has reached adulthood, parents must pursue official legal guardianship. Because the parent or guardian is already experienced with the care and lifestyle of the individual, the transfer from parentage to guardianship is often a simple process, and only the legal side of things should be handled by a qualified attorney. Just as they cared for us as infants, there comes a time in many adults’ lives when they are asked to take on care for their elderly parents or other relatives, stepping in to make financial and legal decisions for their loved ones at the end of life. Another type of guardianship may be granted in these instances, when a parent or guardian is either severely disabled or elderly. It is important that you seek the qualified advice of a family law attorney to ensure that the proper individuals are able to become guardians to safeguard the health, financial stability, and mental well-being of the individual in need of guardianship. The decline of a family member can be an extremely difficult time for your family – allow us to help make the transition easier. A pre need guardianship is an estate planning tool that allows a person to designate the individual specifically selected to serve as guardian in the event of future mental or physical disability. Prior to being determined incapacitated by the Court, you can make these advance decisions and help maintain some measure of control over your circumstances. The Designation of Pre Need Guardian allows a person to have control over who will be entrusted with their most important concerns. The designation is not limited to one person. It permits the naming of multiple people, in order of appointment, to deepen the level of protection. It also allows a person to specify who they do not wish to have that kind of power and control. This helps prevent abuse and exploitation of someone when most vulnerable. Contact the law office of attorney Caryn A. Van Matre today to discuss this and other estate planning instruments. Attorney Caryn A. 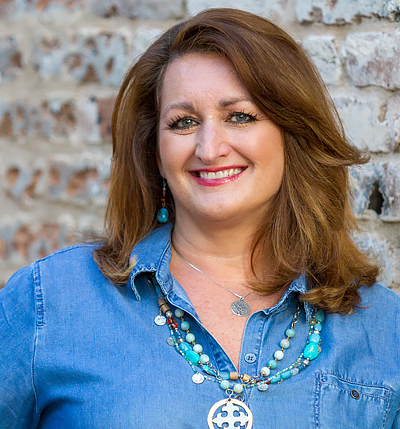 Van Matre has a proven track record and reputation for providing her clients with outstanding results. She can provide strong advice and effective representation and is ready to help you. Call now. If you are a victim of domestic violence, we will stand up for you to get the protection that is needed. Domestic violence injunction proceedings are one of the most emotionally difficult processes to go through. While the victim should feel no shame or embarrassment, far too often, these very emotions keep a person from securing the protection that they need. Attorney Caryn A. Van Matre has stood side by side, advocating for victims of domestic violence. Our goal is to limit the continuing trauma by guiding you through the process. Domestic violence proceedings are not criminal actions. They are civil processes and are clearly defined as to who is entitled to an injunction and what protections the injunction provides. If you or a loved one is the victim of domestic violence, law enforcement should be called immediately. Once your immediate safety is secured, and your children are safeguarded, you should proceed with the filing of a Petition for Injunction Against Domestic Violence. Forms are available at the courthouse in the county where you reside. Once an injunction petition is filed, you will either receive an order of the court granting a temporary injunction, pending further hearing or, if the facts are not sufficient based upon the written petition to support entry of a temporary injunction, a hearing will be scheduled for the presentation of additional evidence. Similarly, for non-family members, other injunctive relief may be appropriate. Protect yourself and your family – contact us. In addition to a compassionate consultation, we will provide you with vital resources to move forward, as well as honest, straightforward recommendations for your future and the well-being of your children. Experiencing violence at the hands of a loved one is an incredibly traumatic situation – now that you have the strength to escape, don’t do it alone. Rely on our compassionate care and aggressive representation to ensure that you and your family are never harmed again. Call Attorney Caryn A. Van Matre now. Sometimes you need a fresh start. Maybe you are divorced and did not legally change your name in the divorce process. Maybe you did not change your name when you married, and are now regretting that decision. Maybe your name just does not suit you, for whatever reason. A name change is an important process that can have long term impact. Gathering the necessary paperwork, filing out the required documents and appearing in court can be stressful and time-consuming. Do it right the first time with a qualified attorney at your side. Trust attorney Caryn A. Van Matre to help you in this process. While many individuals prefer to see marriage as a religious or emotional bond between a couple, it is very much a legal contract and business relationship. As such, it is important to consider your legal options in protecting the assets of both parties in the event of any future divorce, death, or other circumstance. While considered un-romantic by many, a prenuptial agreement can help to simplify legal issues down the road. Even if you do not imagine divorcing your current partner, prenuptial agreements can also come into play after the death of a spouse. In addition to asset protection, a prenuptial agreement can also stipulate a wealth of behaviors and responsibilities between the married couple. Most traditionally, a prenuptial agreement protects individuals with significant premarital assets and children of a prior relationship. Without a valid prenuptial agreement, in the event of divorce, the division of martial assets and liabilities can be uncertain and very unnerving. A well-crafted, valid prenuptial agreement can help protect your family and the wealth you have accumulated. But, as with any important legal matter, you will need the guidance of an experienced family law attorney to help you with the process. A prenuptial or antenuptial agreement is a contract and as such must be created with strong attention to detail and a knowledge of the law. Financial disclosures are necessary. And, any appearance of fraud, duress, misrepresentation, and threat must be firmly and carefully addressed. Attorney Caryn A. Van Matre is ready to help you prepare an agreement that most fairly represents the understanding of the parties, so that when you say “I do,” you can do so securely. Call us now. When a child is at risk of abuse, abandonment or neglect, the State has a compelling interest in protecting these most vulnerable members of society. Through a legal process known as a dependency action, the child can be safeguarded, while providing family members much needed support to restore the family. A family’s experience with dependency hearings is almost always fraught with emotion and difficult choices. The court must consider the best interest of the children involved, while also weighing the parents’ rights to the children, free from unnecessary governmental intrusion. In extreme cases, the court may order that children are removed from the only home they have ever known, and placed elsewhere permanently or temporarily. In many heart-breaking instances, these children can never be returned to their original home. Our work in the area of dependency is very difficult. We aggressively represent any parent or guardian who exhibits the absolute commitment to doing what must be done to provide a home for their children that is free from the risk of abuse, abandonment and neglect. If a parent is unable to fully regain custody of their child while they are in the process of working on a case plan to improve their lives, we advocate on their behalf to maintain quality appropriate contact with their children. We also explore other family placement options, which may minimize the trauma to children and improve the likelihood of a parent regaining control of their life and care of their children. In cases of abuse, abandonment, or neglect of children, the need to protect the best interest of the child takes precedent above all else. Call Attorney Caryn A. 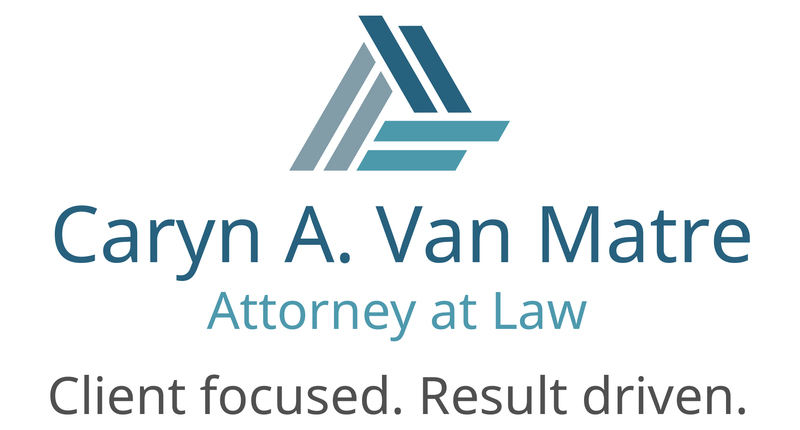 Van Matre if you or a loved one may be in need of our services in addressing dependency proceedings. Mediation is the process of attempting to settle a case by agreement. It allows parties to remain in control over the issue instead of putting it in the hands of a judge. The mediation process has a tremendous success rate. It is a cost and time effective viable option that should be explored before going to court for a contested hearing, where the result is completely out of the hands of the parties. Mediation differs from traditional legal proceedings because instead of taking an aggressive stance against an opponent, you – and your attorney– are trying to reach an amiable agreement. Successful mediation avoids the unpredictability of trial. It saves time and money. Parties are generally more pleased with the result if they have a voice in the ultimate outcome. The mediation process also differs from traditional legal means because the proceedings are not placed in a court record. You are allowed to negotiate in a confidential environment, counsel there to guide you, and with a skilled mediator present to help settle matters. It provides a structured environment in which to work out a dispute and reach a mutually satisfying conclusion. Attorney Caryn A. Van Matre will be with you to prepare you in advance of mediation, so that you can negotiate from an informed position. She will be present with you during the mediation process to help craft creative settlement proposals, that may ultimately benefit everyone involved. And, in the unfortunate event that mediation fails, Attorney Caryn A. Van Matre will be prepared to advocate for you at trial. Call us now. What if you can not settle your case out of court? We fight. We have the experience, tenacity and know-how to deal with high-conflict cases. Where parties are unable to see eye-to-eye, we prepare for trial. Over the years, we have battled against opposing parties who are often unwilling or unable to resolve issues despite our best efforts. In those cases, we prepare for the fight. We regularly advocate for clients who have suffered domestic violence, threat and intimidation. We stand up against opposing parties who sometimes are wrestling with drug and alcohol addiction or who have mental health issues that effect the legal process. In those instances, our client’s safety and well-being, and that of their family, becomes our top priority. Attorney Caryn A. Van Matre stands ready to offer you strong, straight-forward, honest legal guidance during your time of need. Call now to schedule your low cost initial consultation and take back your peace of mind.